At Platinum Physical Therapy, our focus is on the quality of treatments you receive. Designed to offer a positive client experience, we provide you with an optimal environment that promotes healing and ensures privacy. 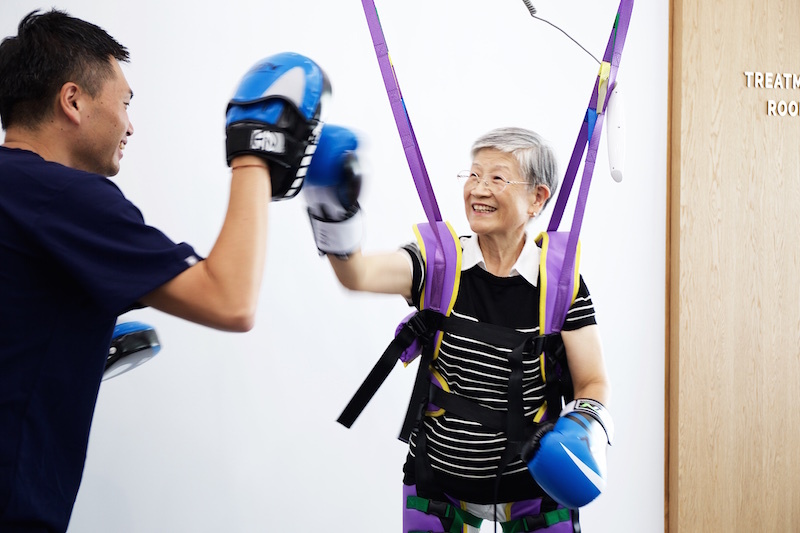 Our center is equipped with the most advanced technologies and professional equipment available making this clinic the leading physical therapy clinic in Taipei. The Platinum Physical Therapy and Wellness Center is centrally located in Xinyi district of Taipei City, only steps from Taipei City Hall to the east and Sun Yat-Sen Memorial Hall to the west. Schedule a treatment en route to and from work, or during your work hours – the time here with your therapist will be well spent. We offers a temporary escape from the grind with its positive and uplifting energy creating an atmosphere that promotes wellness and healing from the moment you walk in. As a boutique studio space, we provide quality, individual and customized care for every client. We offer GRASTON TECHNIQUE to help you efficiently release pain and improve function. AlterG’s unique unweighting technology, developed at NASA, reduces the impact of walking and running, while your body goes through the normal healing process. 精確的降低身體重量，減少訓練時對關節和肌肉的負荷 Precise unweighting lowers the impact on your joints and muscles during training. 輕鬆的依照訓練需求降低承重，讓您在運動中感受不到疼痛Easily select your reduced body weight where movement becomes pain free. 給自己一個更舒適、快速的復健過程，並且達到更完善的恢復Give yourself the opportunity for a smooth progression back to full recovery. Take Ren’ai road toward Taipei City Hall, turn right once passing Yi-sheng road (weekday only), we are located on the right hand side. Take Keelung road or Songshou road toward Taipei City Council, at the intersection of Keelung and Ren’ai road, take a left U turn to the street next to the keelung road underpath.